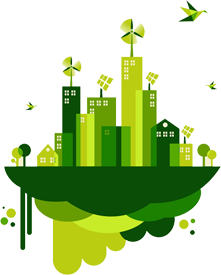 All of our processes work in total synergy with the environmental preservation. For that, the company started to acquire fields of pinus iliotis and pinus taeda (conifer trees native from the American southeast), looking to achieve self-sufficiency regarding our main raw material. Today, Treboll Móveis totals 1.800 hectares of renewable forests under sustainable use, with about 2.500.000 trees with up to twenty years. This prevents and reduces the environmental impact of waste generation and in the use of natural resources.